So, you’ve probably noticed that I haven’t really posted a whole Hell of a lot in the last couple of months. I don’t anticipate a flurry of reviews coming up so I thought it was only fair that I explain myself. I don’t enjoy blogging anymore. There, I said it. And to add some more shock, I don’t enjoy reading anymore, either. I think this is more than the usual reading slump that we all go through from time to time. I’m reading books, it’s just taking me forever to get through them and I’m not really enjoying them, for the most part. And when I do manage to finish a book, I don’t really have anything to say about it. The last thing I want to do is to write a review. Which is why I haven’t been posting any reviews lately. So I’m taking a break. I have a few reviews written (kinda) and will be posting them this month. But for the month of August I won’t be posting ANY reviews. And I won’t be reading any review books. If I owe you a review, I will get to it, I promise. But to give those review books a fair chance, I need a break. I’m hoping this official break will reanimate my love of reading and all things bookish. I’m hoping that I’ll be able to get back to reading for the love of reading, not because I HAVE to. I’m hoping it will stop feeling like a job. An often stressful job that I pretty much fail at most of the time. I don’t want this blog and reviewing books to be a burden, and that’s where I am right now. I’ll still be reading in August, but I’ll be hitting my personal shelves and revisiting some old favorites. I’ll still be around a bit on Twitter and Facebook. This feels like the right decision for me at this time. So, today was my day on Lesley Livingston’s Once Every Never blog tour. As you can probably tell, I didn’t post a review. I wanted to post a review. Hell, I wanted to write a review. But that would require having read the book, something I haven’t done yet. Why, you ask? Well, I’ll tell you: my review copy is one of the victims of the postal strike. So the fine folks at Penguin Canada are sending me out another copy. I PROMISE as soon as it lands in my hands I’ll stop WHATEVER I’m doing and read it. Honestly. But in the mean time I have this awesome Q&A with Leslie. 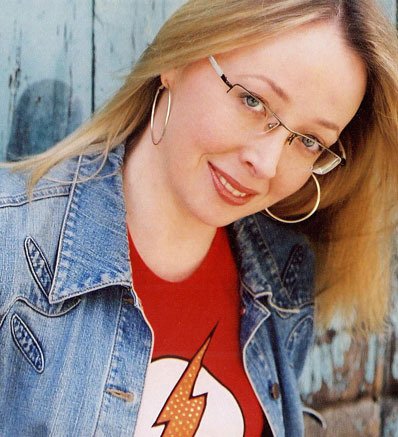 Colleen: Was it hard to write about new characters? Colleen: What does a day in the life of Lesley the writer look like? Leslie: What does it look like? When I’m working on a deadline, which I just was, it ain’t pretty. Heh. There are coffee stains everywhere. And aggrieved cats. And a brooding, jungle-ish garden on the other side of the window that looks as if it may be hiding jaguars and poisonous reptiles. There are haphazard sticky notes on the white board in the corner, an iPod that hopefully I remembered to charge the night before on the desk (usually not), a stack of research books accumulating in perilously teetering piles on either side of my chair and probably an empty bowl that had hosted Multigrain Cheerios earlier. And then there’s me. Bleary eyed, hair in a ponytail, muttering darkly, hunched over Bob’s keyboard (Bob is the name of my Mac Air) as I try to muscle a sentence into submission… In truth, I should probably do yoga or meditate or something for an hour before I start pounding away at the keys. It might make for less crazy. Colleen: What is your editing process? Colleen: What are some of your must-reads for the summer? Leslie: Ooh. Right now I’m reading an ARC of Kenneth Opal’s This Dark Endeavour. I’ve just started it but I think I’m going to like it! I’m also going bonkers waiting for the next book in the Dresden Files series by Jim Butcher—it’s a paranormal noir series and one of my favorites! I’ve also got some non-fiction research to catch up on—yay, comparative mythology! Perfect beach reading, right? Right…? Thanks for the great questions, Colleen! 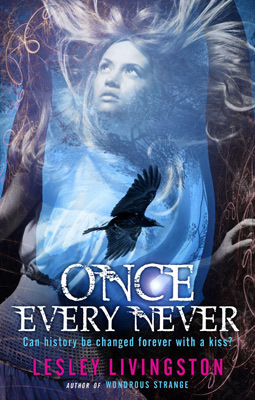 And thanks for being part of the ONCE EVERY NEVER Blog Tour!